The Asus ZenFone AR is here, incorporating both of Google’s most exciting VR projects: Daydream and Tango. Even better news is the availability in the United States, and not just as an unlocked version, but through the Verizon network too. Here’s everything you need to know about the Asus ZenFone AR. 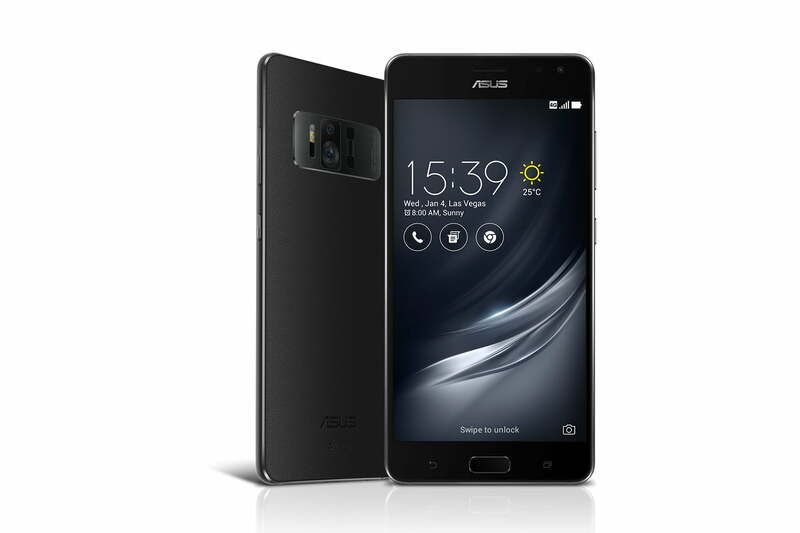 The Asus ZenFone AR is now available unlocked in the U.S. from August 3, and comes in two different versions. A ZenFone AR with 6GB of RAM and 64GB of storage is yours for $600, while the more powerful 8GB model with 128GB of storage is $700. Perhaps more surprising is the chance to buy a ZenFone AR from Verizon. The network will only carry the 6GB version, but it will come with 128GB of storage space, fitting in-between the two unlocked models. It’s priced at $648, or at $27 per month for 24 months. The ZenFone AR’s depth-tracking sensors react to forward, backward, and strafing motions — if you take a step forward in a Tango game, digital objects on the screen stay in perspective as you circle around or duck under them. Project Tango can identify objects in the real world, like a desk in a living room and the walls of a home office. And even more usefully, it can calculate the dimensions of those objects. Want to get a bed’s length? The ZenFone will provide the measurements in your metric of choice. Some of those same sensors enable support for Daydream, Google’s virtual reality environment. It’s the spiritual successor to Google’s debut VR effort, Google Cardboard, but far more holistic in scope: it consists of three components; a headset, a motion controller, and a suite of virtual reality apps including HBO, YouTube, Hulu, Gunjack, Hunters Gate, and more. It’s worth noting that not all of those components come in the box. Prospective buyers will need to shell out for a Daydream-compatible virtual reality headset like Google’s Daydream View. Rumor has it that the company’s working on an self-contained augmented reality headset with Tango-like tracking technology, but it’s unclear whether it’ll interface with the ZenFone AR. The rest of the ZenFone AR’s hardware isn’t anything to scoff at. It packs Qualcomm’s Tango-optimized Snapdragon 821 and Adreno 530 graphics card — not the silicon behemoth’s latest processor, granted (that’s the Snapdragon 835), but one that Qualcomm guarantees delivers “VR with high-resolution display, ultra-smooth graphics and high-fidelity sensors for precise head tracking.” And it sports up to a massive 8GB of RAM, plus a 5.7-inch WQHD (2560 x 1440 pixels) Super AMOLED screen, and a powerful five-magnet speaker system. The ZenFone AR is launching alongside new augmented reality experiences from Asus, all designed to work with Google’s Project Tango. The smartphone maker partnered with Gap to develop Dressing Room, an augmented reality experience that lets users “try on” the clothing retailer’s latest fashions. And it teamed up with BMW to develop the i Visualizer, a Tango-enabled app that allows users to configure, customize, and walk around BMW’s i3 and i8 cars in a digital environment. The BMW app is launching in select BMW dealerships in the U.S., U.K., Germany, Norway, Spain, Italy, Poland, Belgium, Netherlands, China, and Japan in the coming weeks. Later this year, it will become more broadly available from the Google Play store. Update: The Asus ZenFone AR is now for sale in the United States.